The Mitsubishi 2.0-liter 4B11 engine, in both naturally aspirated and turbo versions (4B11T), is a replacement for an iconic 4G63 engine. It was first introduced for Mitsubishi Lancer 10 and EVO X in 2007. The manufacturer was forced to abandon the proven 4G6 engine due to the new, more stringent emission requirements. The 4B11 now is an all-aluminum engine with the newest electronic systems available for the last 4G6 generation. The Mitsubishi 4B11 engine has an aluminum cylinder block. The new engine block has “square” dimensions - bore and stroke are measured the same 86 mm. The engine is well balanced and has a free-revving character. That also gave the ability to eliminate the balance shafts. The new 16-valve DOHC aluminum cylinder head is placed on top of the cylinder block. The engine now uses a timing chain to drive both camshafts instead of a timing belt. The Mitsubishi’s MIVEC system (Mitsubishi Innovative Valve-timing Electronic Control) is applied to both the intake and exhaust camshafts. For weight reduction, the engine was equipped with plastic cylinder head cover and plastic intake manifold (non-turbo version). The engine still has an electronically controlled multi-point fuel injection system and new electronic ignition with iridium spark plugs and individual ignition coils to lower emissions. The 4B11 is a GEMA engine and it is shared between Chrysler, Hyundai (G4KD engine) and Mitsubishi. Despite the fact that this is a joint project, their engines have some unique features and are not interchangeable. Engineers also developed the 2.4-liter version based on the 4B11 and named it as 4B12. The new 2.4l engine replaced the 4G64 engine. The 4B11T was built specially for the Mitsubishi Lancer Evolution X. The new 2.0-liter turbo engine replaced the 4G63T engine. It is the first EVO engine with a die-cast aluminum cylinder block and cast iron liners/sleeves. The engine block has a semi-closed deck design (unlike the cast iron block with a solid-deck design of the 4G63). The engine block height is a 220 mm; the cylinder spacing is a 96 mm. Like the 4G63T, the block is equipped with oil jets for cooling forged aluminum pistons made by Mahle. The connecting rod's length now is 143.75 mm. The bottom end features a four-bolt main cap and a two-piece oil pan design increases block rigidity. The engine uses 16-valve (4 valves per cylinder) head with chain-driven camshafts. Like non-turbo 4B11, the 4B11T uses MIVEC continuous variable valve timing on both the intake and exhaust camshafts. The diameter of the intake valves is 35.0 mm; the diameter of the exhaust valves is 29.0 mm; the valve stem diameter of both valves is 5.5 mm. The third-gen 4G63 cylinder head had 20-percent better intake airflow over the 4B11 head due to smaller higher-velocity ports. But it gives to 4B11T a quicker response at lower and mid engine speeds. The plastic cylinder head cover was replaced with aluminum one. The 4B11T engine has a MHI TD05H-152G6-12T turbocharger with the max boost pressure of 1.54 bar (22 psi), air-to-air intercooler, aluminum intake manifold, and 60 mm throttle valve. The engine consumes a lot of fuel; in this case, the engine got 540 cc/min fuel injectors. The exhaust manifold is made of stainless steel. The production of the 4B11T was stopped in 2017 with the last Mitsubishi Lancer Evolution X. The 4B11 engine is noisy. This noise increases during warm-up (knocking like a diesel engine) and a little subsides when the engine is warm enough. The common problem for engines until 2009 is a stretched timing chain. The symptoms of that are increased noise and unstable operation. The turbo version has a problem with piston rings. Under high loads, they brake on pieces which shake inside the cylinders and damage the cylinder surface, valves, and even spark plugs. Those small pieces of steel also can get into a turbocharger. You should pay particular attention to the catalytic converter. The dust from dead catalytic converter penetrates inside the cylinders and causes scratches on cylinder walls. But if we look at the engine as a whole, we can say that it is reliable enough. The longevity is close to 200,000 miles (320,000 km) for the non-turbo engine. 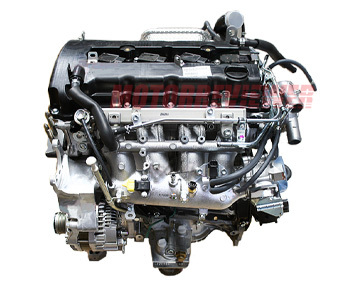 The 4B11T is a high-performance engine and to expect a high reliability from it is a little naive, but its durability is still comparable with predecessor – 4G63T.